It may seen enticing to save your mobile data and link up to free public WiFi at your favorite restaurant, coffee shop or shopping center. But you may not realize that every time you log in to a public network, that outlet collects information on you, where you go online, and any sensitive information on your device while you’re connected. And that doesn’t even get into the mountain of malicious hacker tricks used to mine your information on public WiFi like endpoint attacks, packet sniffers, evil twins and more. You can protect yourself out in the world with a solid VPN, and they don’t come any more solid than Goose VPN. 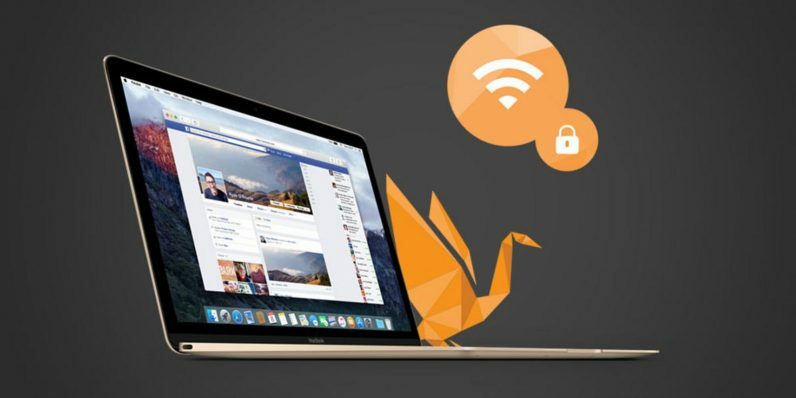 Outlets like BestVPN, TrustPilot and even CNET trust Goose, so guard your info with a lifetime of Goose VPN service for only $39.99 (over 90% off) from TNW Deals. As with any quality VPN, Goose makes its mark with top-notch security coverage. Shielded inside their fortified, 256-bit encryption connection, your data is fully cloaked at all times from a cybercrook’s best efforts. With a network of more than 110 servers in over 20 countries, your IP address and sensitive information like bank access and credit card numbers stay protected anywhere you go. As for your web-surfing history, it’s not a concern with Goose VPN. The service adheres to a strict no logging policy, which means even they keep no record of where you go or what you do online. There’s no incriminating or embarrassing information for a snoop to find — because those records don’t exist. For a limited time, you can lock in Goose VPN protection at a variety of levels. Unlimited lifetime access costs only $39.99 (a savings of over $260), but you can also get onboard for shorter 1-year ($14.99), 3-year ($24.99) and 5-year plans ($34.99).